A thrilling mystery from New York Times bestselling author J.A. Jance starring Ali Reynolds, who finds herself working against the police to clear two innocent names…with deadly stakes. In Deadly Stakes, police academy-trained former reporter Ali Reynolds is contacted to investigate the grisly murder of a gold-digging divorcee on behalf of a woman accused of the crime. Lynn Martinson is dating the dead woman’s ex-husband, and she and her boyfriend Chip Ralston have been charged. Ali is simultaneously drawn to the case of A.J. Sanders, a frightened teen with secrets of his own. He’s the first to find the body in the Camp Verde desert when he goes to retrieve a mysterious buried box hidden by his absent father—a box that turns out to be filled with hundreds of thousands of dollars in poker chips. When the body of an ex-con is discovered near the first crime scene, Ali struggles to determine if A.J. and Lynn’s cases are related. Though her friends in the police department grow increasingly irritated by her involvement with the cases, Ali must stop a deadly killer from claiming another victim…before she herself is lost in this game of deadly stakes. 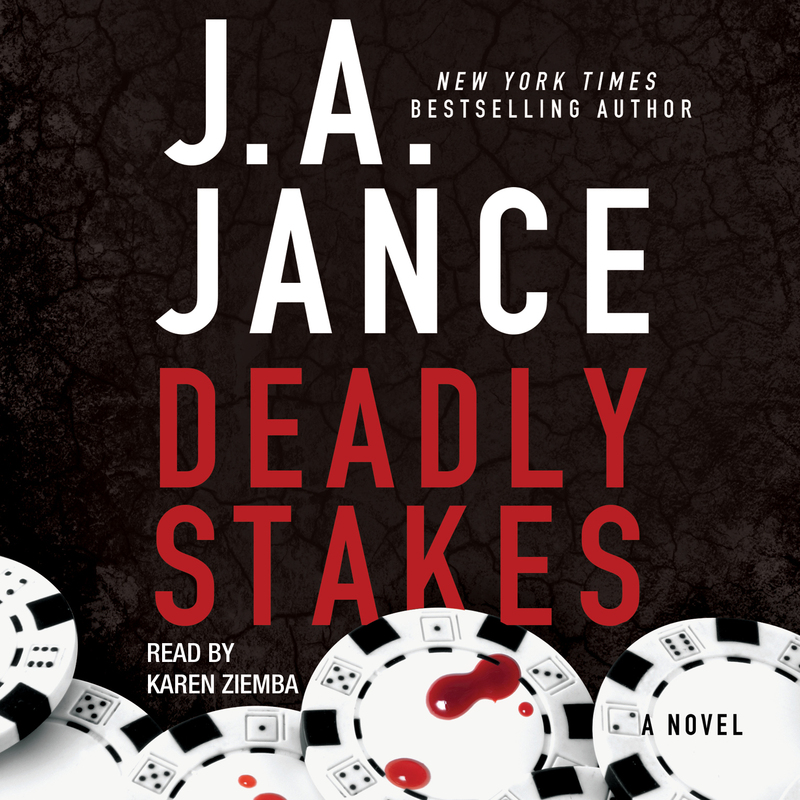 This reading group guide for Deadly Stakes includes an introduction, discussion questions, ideas for enhancing your book club, and a Q&A with author J. A. Jance. The suggested questions are intended to help your reading group find new and interesting angles and topics for your discussion. We hope that these ideas will enrich your conversation and increase your enjoyment of the book. When Lynn Martinson and her boyfriend Chip Ralston are arrested for the murders of Chip’s gold-digging ex-wife, Ali Reynolds is contacted to clear two innocent names. As a former reporter with police academy training, Ali is more than equipped to unearth the facts that underpin the increasingly complex case, especially with her connections in and outside of the police force. But danger may be closer than she thinks—and the cost of her involvement with the case could be deadly. 1. In Deadly Stakes, Ali has to trust her gut instincts in order to untangle the tangle of lies that surround Gemma Ralston and James Sanders’s murders. For instance, Ali has met Lynn Martinson only once before, but she feels convinced of her innocence. What were your initial impressions of Lynn Martinson? Molly Handraker? A.J. Sanders? How accurate were your first judgments, and how did they change throughout the book? 2. Why do you think that Ali is so hesitant to get married to B. Simpson? In your opinion, what was the most important factor in making her change her mind? 3. Whom did you suspect murdered Gemma Ralston and James Sanders? What were your reasons for these suspicions? 4. Ali had to break a few rules in order to investigate the murders of Gemma and James. What kind of tricks did she use? Did her less-than-conventional methods change your impression of her character? 5. Ali demonstrates that it helps to have friends in high places. What do Ali’s relationships reveal about her character? 6. Forbidden relationships are a recurring theme in Deadly Stakes. Compare and contrast AJ’s relationship to Sasha with Lynn’s relationship to Chip. 7. Can you identify with A.J.’s reasons for deciding not to tell anyone about his growing relationship with his father, James? How do you think his story might have unfolded differently if he’d trusted Sylvia with the information earlier? What impact would it have had on his father’s case? 8. Something makes Ali return to Molly Handraker’s house for further questions. Why does Ali sense that there’s something more? 9. Molly plays a primary role in the murders, but Barry appears to call the shots. How much of an influence do you think Barry had over Molly? What was Molly’s breaking point? Do you think she would have ever acted on her own? 1. Though the Las Vegas described in this novel is an unsavory, at times murderous place, evoke a more glamorous side of the “City of Sin” by hosting a casino-themed night for your book club. Don your glitziest attire, and play your favorite card games. 2. Visit the online home of the fictional Sugar Loaf Café on J.A. Jance’s website: http://www.jajance.com/jajance.com/Sugar_Loaf_Cafe/Sugar_Loaf_Cafe.html. Try some of the recipes for yourself (like Edie’s signature sweet rolls), and share them with your book club as a tasty treat. 3. Thousands of men, women, and children are affected by domestic violence every year, and as Molly’s case in Deadly Stakes shows, a partner’s control can turn deadly. Locate a shelter in your town or city and have each member of your book club bring a donation of canned goods, gently used clothing, or money to donate. For more information on preventing domestic violence and how you can help, visit the US Department of Justice’s Office on Violence Against Women at http://www.ovw.usdoj.gov/ or the National Domestic Violence Hotline at http://www.thehotline.org/. 1. You’ve written a slew of bestselling novels, most recently Left for Dead, which also stars our heroine Ali Reynolds. What is it about Ali that makes her such a versatile character? For one, Ali isn't a sweet young thing. She has taken some hits both personally and as far as her career is concerned. Yet she has the courage to get up and try again. Just this week I heard from a woman who, in her 60s, has lost pretty much everything. She told me that reading about Ali has given her the courage to go after her own dream. 2. You write two mystery series with female protagonists, Ali Reynolds and Joanna Brady, and one with a male protagonist. J.P. Beaumont. What are the challenges or benefits of writing from the point of view of a character whose gender is different from your own? To write through a male point of view I always have to pay attention to the way men think and to the way they view the world. 3. What type of books do you read for fun? Are there any books in particular that motivate or inspire you to write more? I read mysteries. I have always read mysteries. What inspires me to write more? Contracts and deadlines. 4. Ali demonstrates that you can have a rich, romantic life even after children and divorce. What advice would you give to women or men who want to start over? I moved to Seattle in 1981 in the aftermath of my own divorce. I loaded my kids into my used 1978 Cutlass, hitched on a U-Haul with all our worldly goods, and drove north. I only cried when both of my kids were asleep because I didn't want them to know how scared I was. At the time although I had always wanted to be a writer, I hadn't written a single book. Because my marriage had failed, I thought I was a failure, and I was sure my life as a woman was over. Now I'm the author of close to fifty books, and I've been married to my second husband, the good one, for more than twenty seven years. I had to let go of the bad to find the good. 5. 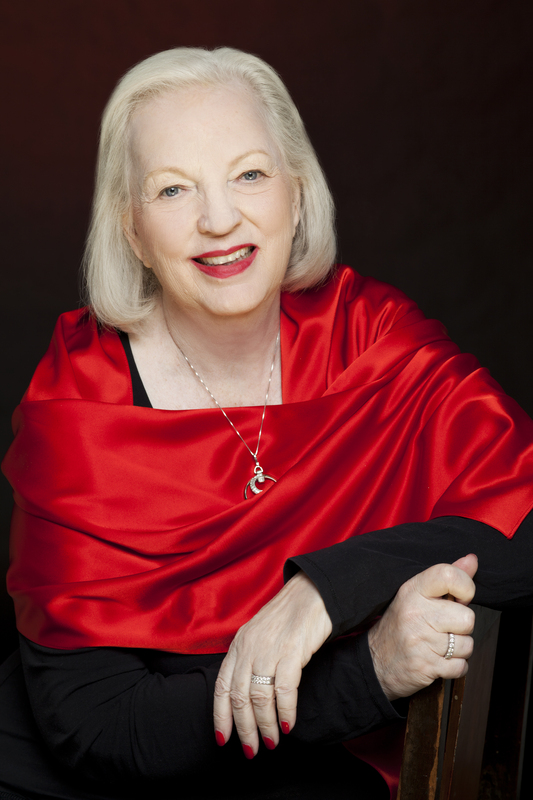 In Deadly Stakes, Lynn Martinson appears from your earlier novel, Fatal Error. What about her and her story caused you to revisit her? Are there any other characters from the Ali Reynolds series that seem ripe for expansion? Lynn was a character who struck a chord in me. Now I'm thinking I'd like to know more about Leland Brooks. 6. You often have your characters deal with serious, hot-button issues, including race, immigration, and domestic violence. What kind of questions do you hope Deadly Stakes will spark for your readers? Domestic violence is of course one topic, and so is elder abuse, to say nothing of sibling rivalry. 7. Describe your writing routine. Have your writing habits changed over the years? When I first started writing, I was a single parent with two little kids, no child support, and a full-time job selling life insurance. The only time I had that was my own was between 4 AM and 7 AM when I got the kids up to feed them breakfast and get them off to school, before getting myself ready to go to work. Fortunately I no longer have to work that early morning shift. 8. Your characters are often experts in highly specific topics, from hacking, to cooking, to politics, to internet dating. What kind of research do you do to make their skills as realistic as possible? What are the coolest things you learned while researching Deadly Stakes? I learned to ask experts for help. The coolest thing I learned while writing this book was understanding how the “Find My Device” app works. 9. Who is your favorite character in Deadly Stakes? Why? 10. Deadly Stakes ends with a major change in Ali and B.’s relationship. Can you tell us what’s next for Ali? I believe Ali may be headed for Merry Old England.